Since his first tour to Kabul Steele has returned to Afghanistan twice. In all he has done two full tours and one other shorter visit to assess how Apache aircrew were coping with the demands of their operation. He says Herrick 8 was the most demanding of his full tours and its risks well known, so much so that initially chaplains were told that it was too dangerous to allow them to go out on the ground with the soldiers. Later this instruction was revised to enable chaplains and their commanders to assess the dangers for themselves, and to then decide how best to operate. The dangers only escalated on that particular tour but Steele’s opinion at the time, and still today, remains unchanged. He’s equally certain that the chaplain should not expose the men to further danger but explains why he feels the chaplain should be there when the fighting is at its most intense. On Herrick 8 Steele visited the troops at their forwarding operating bases (FOBs), in their outposts, and, if invited, would accompany them on patrol. He, like all padres, was unarmed. All he carried was an old ebony Malawian walking stick. Steele acknowledges that to many he may seem more soldier than padre. Certainly both influences are in his background. Military influences have been present throughout his life. He grew up during a war in what was then Rhodesia, now Zimbabwe; his father was with the British Special Forces and the Parachute Regiment in the Second World War; his grandfather served as a doctor in the First World War; and his great-grandfather served with the British Army in the Boer War. As far as religion goes he says his family was not a church-going one although his mother was descended from Scottish missionaries. It’s different for the padres. Steele paints a vivid picture. As soon as there are injuries or deaths the strain goes up. Then once the initial storm of contact has calmed still more is expected of the padre. How do the padres survive all this? Steele says they have to be spiritually strong and disciplined, and this despite little privacy or private space for Bible reading and daily prayer. I ask if he has managed to recover from his tours of Afghanistan. 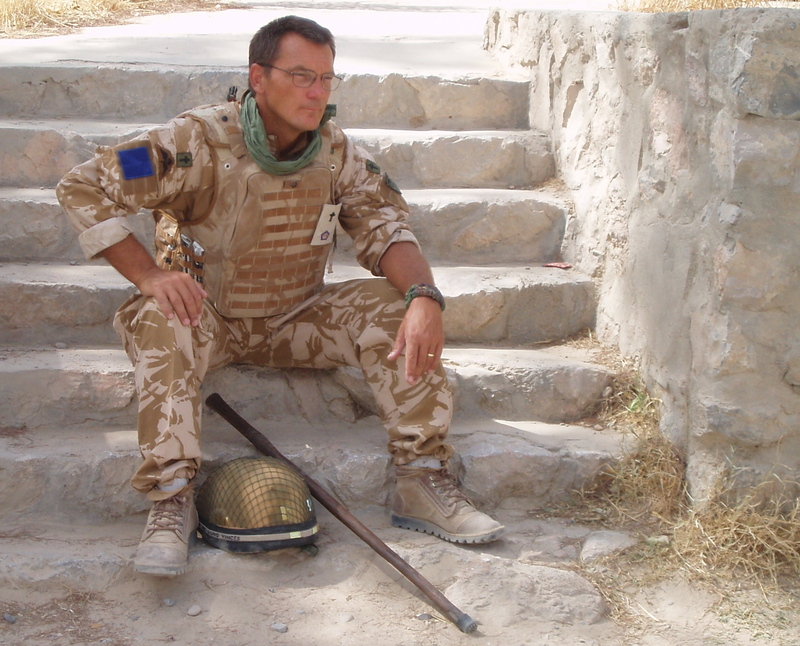 I ask if the padre can be part of the soldiers’ process of going out together to get some of the trauma off their chests following difficult tours. In total Steele spent about ten days in Cyprus. Once home the chaplain is then asked to lead a church service for the whole community. He says that nothing about the service is easy. Finally, it’s the padre’s turn to visit his own family. Steele laughs. He looks comfortable and relaxed in his home. My thanks to Reverend Alan Steele MBE for being so generous with his time and to the Royal Army Chaplains’ Department for helping to arrange this and other interviews. 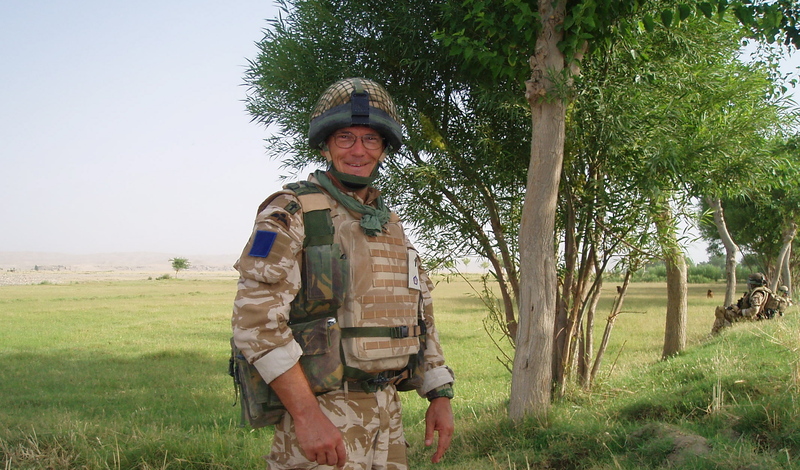 This entry was posted in Church Times, Interviews, Outside the world of books, Published and tagged 2 Para, Afghanistan, Herrick 8, padre, Reverend Alan Steele, Royal Army Chaplains Department. Bookmark the permalink. Thanks for sharing your experiences on being Salt and Light here in Afghanistan – an inspiration. “…I tell you, I have never found anyone with faith like this”. Matt 8 v 10. Unsung heroes … this is a wonderful story, thank you. Thanks for the comment – much of their work is so often out of sight … shock absorbers for stressed communities.